Four founding members established the Double Axe Throwing Association for the furtherance and practice of the Double Axe Throwing sport. This sport is almost a national sport in Canada and Sweden, however fairly unknown in the rest of Europe. The sport is similar to darts or archery. It involves throwing a double-bladed axe at a target. Depending on the position where the axe hits the target, points are counted. There are however some special features. The handle of the axe may be a maximum at an angle of 45 degrees to the target, if the target has a diameter of 80 cm with 10 cm rings, otherwise the throw is invalid. However, when the target has a diameter of 50 cm and 5 cm rings, and the axe is not stuck with two blades in the target, the angle is here matter. This sport is suitable for everyone and of course women, and is very sociable. 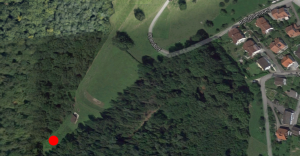 Our throwing range is located next to the forest on the grounds of the sports field on Bachtalenweg in Zeiningen.